Year and In addition to our top ranked SEO Promotion for your music this service includes listing on our The Beatles and Bands Influenced by The Beatles Playlist. You can find that playlist on the following link! Just click it to find the link your track will be placed on! Top Google Pages Promoting Views from Producers, Record Labels and Fans! following link! Just click it to find the link your track will be placed on! care of the rest! Look forward to working with you! 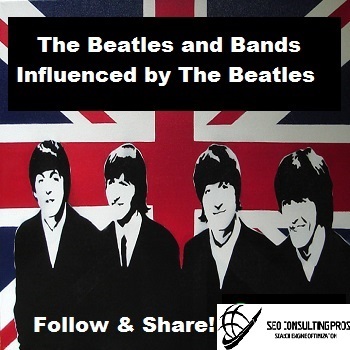 The Beatles and Bands Influenced by The Beatles Playlist SEO Promotion Top Ranked Service 30 Days is ranked 5 out of 5. Based on 2 user reviews.